Irish Black® and Irish Red® Cattle is a true American breed, created to meet the needs of cattle producers and consumers. Cattleman and genetic scholar Maurice Boney developed the breed during the 1960s and 1970s in the United States. Boney grew up in Iowa and graduated from Iowa State University with a degree in Animal Husbandry. After serving in the Army Air Corps from 1941-1945, he returned to being a cattleman. He learned valuable lessons while he owned the Northwest Iowa Livestock Exchange at Alta, Iowa, from 1957 to 1970. In 1970, he moved to Colorado. The breed is primarily derived from Friesian genetics with a small portion of their bloodline tracing to Aberdeen Angus "Revolution" lines. Add to that a bit of what Boney called "plain, hard-working, quality females." Boney developed his “ideal” female line and mated them with three meat-type Friesian sires imported from Ireland. After scientifically confirming the breed’s sound genetic foundation, he closed his herd books in 1971. This was the beginning of the Irish Black breed. Decades of purposeful line breeding and performance-based refinement followed. In the 1990s, the Irish Black and Irish Red Breed was trademarked to protect the breed’s genetic future. By 2009, Irish Blacks and Irish Reds were well established across the United States and had begun to expand internationally. The genetic power of an Irish Black animal produces a highly fertile, well-balanced animal exhibiting excellent beef industry performance and conformation traits. The moderate frame-size females make sense for U.S. cattle herds. Irish Blacks are coveted by purebred producers for their genetic power and superior economic returns and are highly sought after by progressive commercial cattle producers for their consistent quality and their excellent return on investment. The Irish Black Cattle Association (IBCA) was formed in 2013 and is a not-for-profit association organized to collect, record and preserve the pedigrees of Irish Black and Irish Red Cattle. As the official breed association, the IBCA serves as an information center for its members, their customers, and the general public on matters pertaining to the Irish Black and Irish Red cattle. The following interview with Boney appeared in the Jan. 9, 2011, Tri-State Livestock News. He passed away in 2015 at the age of 96. As a college student at Iowa State University in the late 1930s, Maurice Boney didn’t envision building a herd of high-quality cattle in Colorado. However, a series of events at that time brought him in contact with Dr. Jay Lush, then a prominent geneticist who had developed some theories about the benefit of line breeding. It was the guiding principle Boney would later use to develop his Irish Blacks and Irish Reds. An unpredictable gene pool makes it impossible for beef producers to obtain consistent quality in their herd. 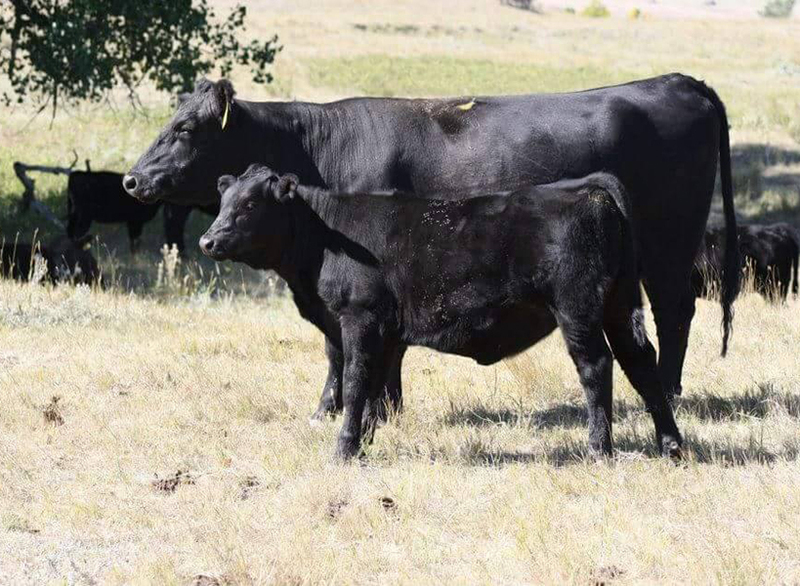 The principle Boney has used as his herd’s foundation was Lush’s premise that an unpredictable gene pool makes it impossible for beef producers to obtain consistent quality in their herd. Lush supported line breeding as opposed to crossbreeding, predicting that adding unknown genetic traits to an ever larger gene pool would cause beef quality to deteriorate over time.